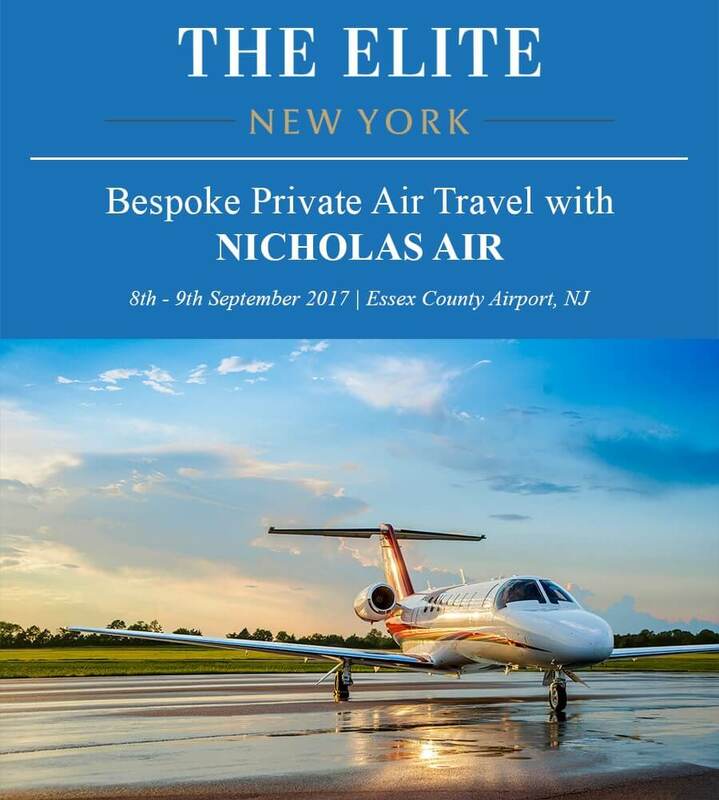 The Elite New York is more than New York’s only exclusive jet-set lifestyle event; it is a world of experiences that selectively showcases the very best of private aviation, marine, supercars and luxury lifestyle brands – all in one location. Indulge in an exciting range of experiences from pleasure flights to supercar test drives. Visitors will be treated to a selection from the world’s most sought after brands with options to purchase the most desirable products and luxury lifestyle related services in the perfect atmosphere. This invite entitles you and one guest to complimentary one-day entry. Simply RSVP online using the code E927341 to add your names to our guest list. On September 8th – 9th, 2017, the event will be held at the Essex County Airport in New Jersey. RSVP online with the complimentary invitation code above to add your name to the NICHOLAS AIR guest list. For more information about The Elite New York event, please email [email protected] and we will be happy to assist you.